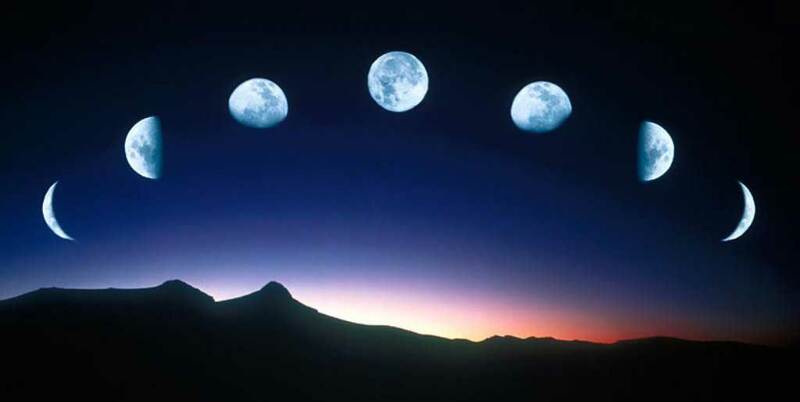 Watching the beautiful moon fly across our sky is a reminder of the vastness of the universe. It is also a reminder of a time when Americans first visited. President Kennedy had set lunar exploration as a national goal and it quickly became the public measure of whether America or the Soviet Union had a better vision of leading mankind. JFK said he chose “… to go to the moon … not because it is easy, but because it is hard” and because he knew that the then-outlandish goal would focus minds and effort on achieving excellence. The choice of exploration was the key to accomplishing excellence as a nation and as individuals. At first glance, odds are you assumed this picture is of one of the American robots that has been exploring the planet Mars. It has gone on for a few years and most people no longer pay those projects much attention. You might also assume that because you probably overlooked the small red flag on the robot. It is the flag of China. China has an aggressive manned space program, and robots are a big part of it. 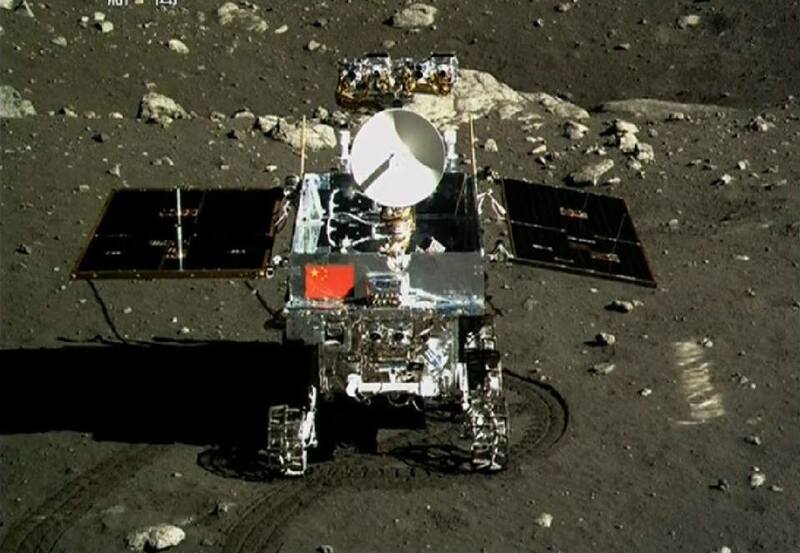 Hundreds of millions of Chinese watched as a new generation brought them live pictures of a real robot working on the moon. It is working now! In a land where grandparents lived in huts and cooked with straw, they are creating amazing technological excellence and revolutionizing personal expectations. They are working with Russian engineers and scientists. In many cases, they are working with the same Russians upon whom Americans now depend to catch a ride to the International Space Station because the U.S. no longer flies spaceships. We don’t value inspiring exploration as a way to achieve excellence. The Chinese are also assembling their own space station and have already lived aboard for a few days at a time. They have set a goal in the next decade of landing people on the moon and returning them safely to the Earth. They and their Russian partners are beginning to talk about living and working on the moon and about the tremendous value of raw materials they plan to claim as their own. People will mine them and robots will bring them back to Earth. The quest for raw materials has driven explorers forever. Their intrinsic value has justified the exploration that led them to advance, to achieve excellence for their time. Settling and developing the moon is an old idea. 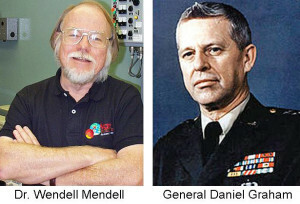 My old friend Dr. Wendell Mendell has worked at Johnson Space Center since the heady Apollo days. He is probably the world’s leading expert on lunar colonies. He designed them and updated plans as technology was developed because the assumption was NASA and the U.S. would be returning to the moon. The intrinsic value of lunar resources combined with the power of exploration to drive achievable excellence left no doubt for the need. That was the belief for decades. Mendell has just retired. There is but one scientist left at Johnson Space Center from the Apollo era and he will quit later this year. There is no reason to stay. There is no plan to return to the moon. It is being ceded to explorers from China and Russia. It is said that maybe the U.S. will try to land on an asteroid someday. Man will begin living on the moon in this decade, but Americans will be paying passengers, not leaders. General Daniel Graham is one of America’s greatest unknown heroes. He did more to end the Cold War than perhaps anyone else. Graham was assigned to the CIA. They created an organization to “lobby” the U.S. government to create a Strategic Defense Initiative, dubbed Star Wars, but his real audience was in the Soviet Union. The U.S. and Soviet governments had been in a cold war for decades. It prevented a hot war, one involving bombs and troops and tanks through a concept called MAD – Mutual Assured Destruction. MAD assumed that an attack by one side would create retaliation by the other and everyone would die by the power of nuclear weapons. Graham and SDI argued for creating a system that would allow Americans to shoot down incoming Soviet missiles. That would mean the end of the mutual part of MAD and the balance of power. Long story short, the U.S. could not accomplish it with then-existing technology. But Soviet leaders knew the power of exploration to drive excellence. America had beaten them to the moon. They did not know if the U.S. could create SDI at the moment, but had no doubt it could happen in the long run. And, they knew they could not afford to keep up because a Communist economic system simply cannot compete with the value created by western economies. This high-stakes game of bluff ended when Mikhail Gorbachev tore down the wall in Berlin, the Soviet system collapsed and we worked at becoming friends. The need to explore and to achieve excellence because our efforts are focused by that exploration is the basis of great countries. It is the basis of great people. President Kennedy said, “Our obligation to ourselves as well as others all require us to make this effort.” Others are. Will you? That would be excellent.